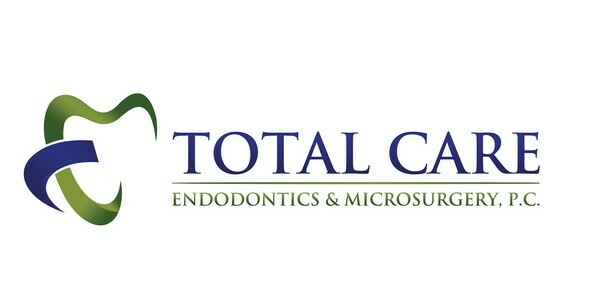 Total Care Endodontics & Microsurgery, P.C. We will schedule your appointment as promptly as possible. If you have pain or an emergency situation, we will make every attempt to see you on the same day. We try our best to stay on schedule to minimize your waiting. Due to the fact that our practice provides surgical services, various circumstances may lengthen the time allocated for a procedure. Endodontic Emergencies can also arise and cause delays. We appreciate your understanding and patience. Please call 973.821.5656 with any questions or to schedule an appointment. Once you schedule an appointment with our office, you will be given your own unique User ID and Password to access our online patient services. You can save time by filling these forms out in advance. If it is convenient for you, we are happy to correspond with you via email for gathering needed insurance information, etc. Please note: questions or immediate needs are not addressed by email, nor do we conduct consultations by email. Our email addresses are provided as a convenient way for you to relay information to Dr. Uju. Your initial appointment with Dr. Uju will consist of a consultation explaining your diagnosis and treatment options. During this visit, she will review and discuss your chief complaint, detailed tooth pain history, medical and past dental history and any apprehensions you may have. In addition, she will perform a radiographic exam and pulp vitality tests to analyze the pulpal and periradicular status of the tooth in question. In order to obtain all of the necessary details, we will require multiple angles of your most recent x-rays. As such, even though you may bring your own set of x-rays, it is sometimes necessary to take additional two-dimensional and three-dimensional CBCT images in our office to help us achieve the right diagnosis. If you require endodontic therapy, it can usually be completed during the same appointment as the examination. We do this because we know that your time is valuable. However, certain complex cases may require multiple appointments to ensure adequate disinfection of the root canal system. If you have dental insurance, please bring your insurance card to allow us to help you process your claim. Additionally, please review our financial policy on this website. To save you time, please complete the Patient Registration form on this website and submit it online (see "Patient Login" tab). Should you choose to complete the form in our office, please arrive 30 minutes prior to your scheduled appointment time. A parent or guardian must accompany all patients under the age of 18 years of age at all visits. Procedures in our office are normally performed using local anesthesia. There are usually no restrictions after the procedure concerning driving or returning to work. If you have been advised by your physician or dentist to use antibiotic premedication because of a heart condition, prosthetic joint or any other health condition, please make sure you are on the appropriate antibiotic 1 hour before your appointment even if it is just a consultation with us. If there is a question, please call our office prior to your appointment. If you have dental anxiety/phobia, please discuss it in detail with us during your consultation appointment. We can come up with an anxiety reduction protocol to make the treatment part more comfortable for you. To aid in proper diagnosis, please avoid taking any type of pain medication at least 4 hours prior to your appointment. Please eat a regular breakfast or lunch prior to your appointment. Do not chew food on the affected side until your endodontic therapy is completed and your tooth is covered with a protective restoration provided by your restorative dentist. You may continue your regular dental hygiene regimen. Dr. Uju recommends taking 3-4 tablets of ibuprofen every 6-8 hours. If you cannot take ibuprofen, she recommends taking 2 tablets of Extra strength Tylenol every 6-8 hours. For your benefit, you will receive a post-op instruction sheet. If you experience anything NOT addressed on that sheet, please feel free to contact the office at 973.821.5656 or Dr. Uju on her cell phone after hours. Rest. Avoid strenuous activity for at least 48 hours. Take and complete any medications as prescribed by us. Do not lift or pull lip to examine surgical area. During the first 48 hours use foods that will not require vigorous chewing. Eat soft foods on the opposite side of surgical area and avoid hot foods and foods that will cause you to stretch your mouth for at least 1 week.